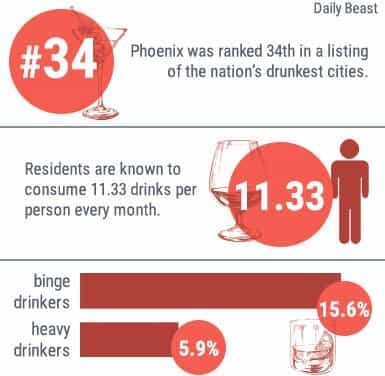 Phoenix, Arizona, may bring to mind pictures of desert plains and nightlife, but for the 1,537,058 who live there, it’s also a state that deals with drug crime and substance abuse.1 It is a plausible theory that a great portion of the city’s population is at an increased risk of engaging in substance abuse or becoming addicted to drugs or alcohol. 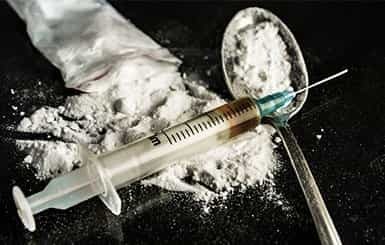 Nearly 3,000 youths died from prescription drug overdoses in 2010 across the country.2 Nationwide, young people are more likely to succumb to peer pressure and try substances they otherwise wouldn’t try. In Phoenix, access to drugs is more plentiful with the drug trade in full swing across the border state. Young people are also the biggest consumers of prescription drugs. Looking for Addiction Treatment in the Southwest? One of the first questions that comes to many individuals’ minds when considering treatment for a drug or alcohol abuse problem is how much it is going to cost and how they’ll pay for it. The good news is that treatment facilities are continuing to expand their payment options each and every year. Individuals interested in rehab in Arizona should carefully select their treatment facility and ensure all qualifying credentials are met. Licenses for treatment centers can be verified with state agencies. Those who require tandem mental health services are encouraged to seek rehab institutions that have qualified medical practitioners and psychotherapists on staff to render such treatment. “State & County QuickFacts.” (2014). United States Census Bureau. Accessed September 21, 2015. “Abuse of Prescription Drugs Affects Young Adults Most.” (n.d.). National Institute on Drug Abuse. Accessed September 21, 2015. “Unemployment Rates for Large Metropolitan Areas.” (2010). Bureau of Labor Statistics. Accessed September 21, 2015. “Databases, Tables and Calculators by Subject.” (2015 Sep 21). Bureau of Labor Statistics. Accessed September 21, 2015. Kurta, A. (2013 Nov 26). “1 in 6 unemployed are substance abusers.” CNN Money. Accessed September 21, 2015. “Substance Abuse Treatment Admissions by Primary Substance of Abuse.” (2012). SAMHSA. Accessed September 21, 2015. “Treatment Episode Data Set.” (2012). SAMHSA. Accessed September 21, 2015. Pollack, H. (2014 Feb 7). “100 Americans die of drug overdoses each day. How do we stop that?.” Washington Post. Accessed September 21, 2015. Marrow, H. & O-Connor, E.P. (2015 Jan 13). “Overdose deaths on the rise across Arizona and the nation.” Hooked. Accessed September 21, 2015“Arizona High Intensity Drug Trafficking Area.” (2011). U.S. Department of Justice. Accessed September 21, 2015. “Arizona Laws & Penalties.” (n.d.). NORML. Accessed September 21, 2015. “Most people who drink excessively are not alcohol dependent.” (n.d.). Centers for Disease Control and Prevention. Accessed September 21, 2015. “Substance Use and Mental Health Estimates from the 2013 National Survey on Drug Use and Health: Overview of Findings.” (2014 Sep 4). Substance Abuse and Mental Health Services Administration. Accessed September 21, 2015. Lucier, K.L. (2011 Nov 2). “Know the Facts About College Binge Drinking.” U.S. News. Accessed September 21, 2015. “Drunkest Cities.” (n.d.). Daily Beast. Accessed September 21, 2015. Parker-Pope, T. (2012 Jan 11). “America’s Drinking Binge.” New York Times. Accessed September 21, 2015. “Chronic Liver Disease and Cirrhosis.” (n.d.). Centers for Disease Control and Prevention. Accessed September 21, 2015. Walsh, J. (2015 Jan 2). “DUI arrests down for 3rd year on Arizona highways.” The Arizona Republic. Accessed September 21, 2015. “Cities with the most drunk drivers.” (n.d.). Forbes Magazine. Accessed September 21, 2015. “Arizona Drunk Driving Fines and Penalties.” (n.d.). NOLO. Accessed September 21, 2015. “State Statistics: Arizona” (2010). National Alliance on Mental Illness. Accessed September 21, 2015. “Mental Illnesses.” (n.d.). National Alliance on Mental Illness. Accessed September 21, 2015. “Suicide Facts.” (n.d.). Suicide Awareness Voices of Education. Accessed September 21, 2015. “State Statistics: Arizona.” (2010). National Alliance on Mental Illness. Accessed September 21, 2015. “Substance Abuse Treatment Facility Locator” (n.d.). Substance Abuse and Mental Health Services Administration. Accessed September 15, 2015. “Sober Living Directory.” (n.d.). Intervention America. Accessed September 21, 2015. “Substance Use Treatment Data, Research, and Policies.” (n.d.). DrugWarFacts. Accessed September 21, 2015.